Alesha Claveria is a Ph.D. candidate at the University of California-Santa Barbara and a Eugene Cota-Robles fellow. Her research interests include Native North American theater and performance and Indigenous theory. She currently holds an M.S. in Public Relations from Montana State University - Billings, and an M.F.A. in Creative Writing-Fiction. She has presented her work at the International Society for the Study of Religion, Nature and Culture, ATHE, the American Literary Association, the American Academy of Religion, and on a plenary panel at ASTR. Her recent article was published in The Eugene O'Neill Review. She is also a contributor for a forthcoming edited volume on Native American rhetoric to be published 2019 by the University of New Mexico Press. For the past three summers she has served as Director/Instructor for Nuestra Voz, a summer theater camp program offered in cooperation with I.V. Arts and the Department of Theater and Dance to serve the teens of the Isla Vista Teen Cenkay, ter. 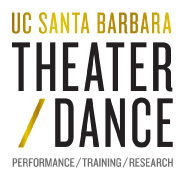 Claveria served as Associate Dramaturg for UCSB's production of Venus and recently appeared in Santa Barbara Dramatic Women's One Night Stands. With her husband, Guil Claveria, she co-wrote the musical, Monster Beautiful, which appeared in a workshop version at the L.A. Fringe Festival in 2017. Claveria is an active member of UCSB's American Indian and Indigenous Collective (AIIC) where she is an officer in the American Indian Grad Student Alliance (AIGSA) and the American Indian and Indigenous Arts Collective (AIIAC) and served as one of the first two ever AIIC research associates. She is currently working with the AIIC to support their efforts to create an American Indian and Indigenous Studies Ph.D. emphasis and major/program at UCSB. Born and raised in the wilds of Montana, Claveria's interests are influenced by the peoples and places of the Great Plains and Pacific Northwest.